Body Perfect G - in progress. Copyright 2003 k. baxter packwood. 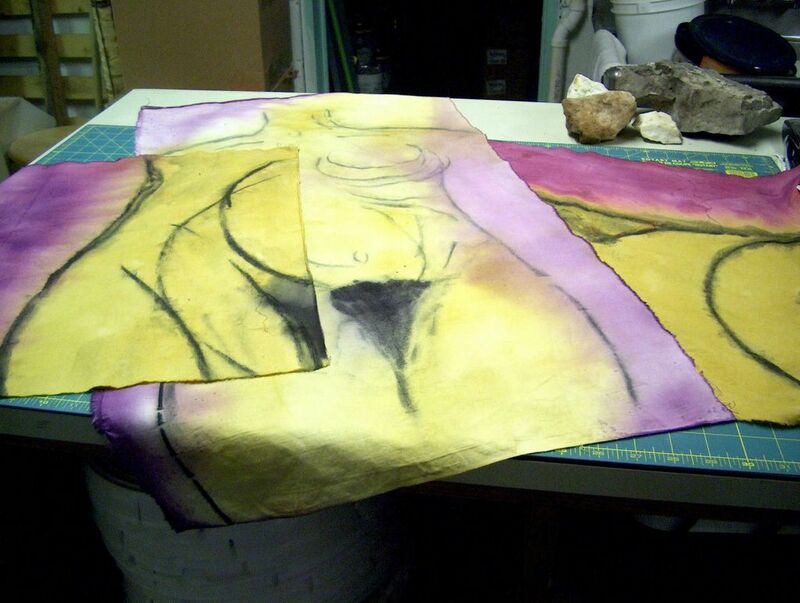 Cotton fabric painted with Natural Dye Extracts and Earth Pigments. The fabric was treated with a soy milk sizing first.